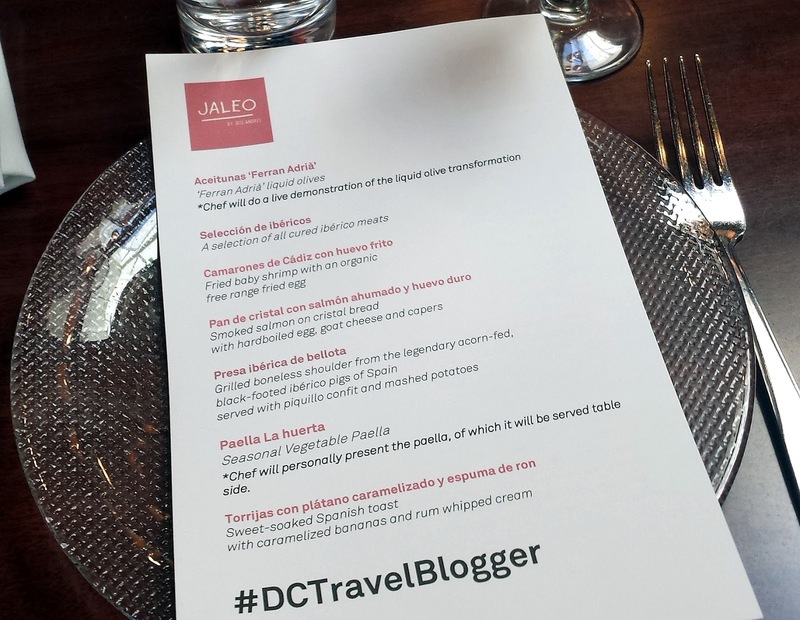 On a day when both the Cherry Blossom Parade and the Cherry Blossom Wine Festival were live and direct (DC folks take their cherry blossoms very very seriously), I was hanging out with some pretty cool folks at Jaleo. Jessica of The Dining Traveler is the Ambassador of #CapFABBtravel. As the name of her blog states, she loves to travel and she loves to dine. Her goal for the #DCTravelBlogger meetup was to connect like-minded individuals with local PRs in the destination and hospitality industries. And trust, I wouldn't call this blog a travel blog or a food blog but once in a while I do post about my adventures in those two areas. So, why not! Let me go and have some fun while being a fatty. The venue was at Jaleo. Taking a virtual trip to Spain, the group was treated to a family style seven course meal with white wine and sangrias flowing. The chef preparing our plates for the delicious paella. 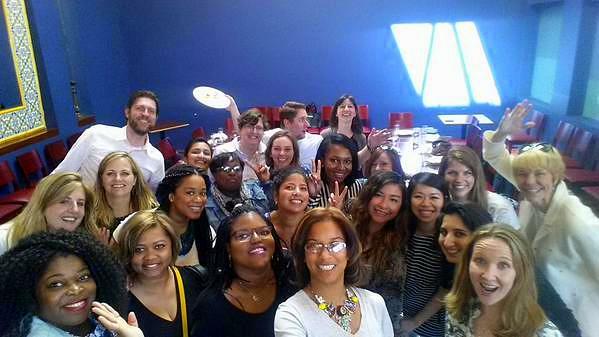 Photos were taken (because, bloggers), funny stories were being told, networking/meeting new people happened, and even a selfie stick made an appearance (thanks, Morgan!) All in all, good times all around. Next post: what I wore to the event.